Hot Potato practice allow to decrease internal link utilization, as your peering partners are forced to carry packets across their network. 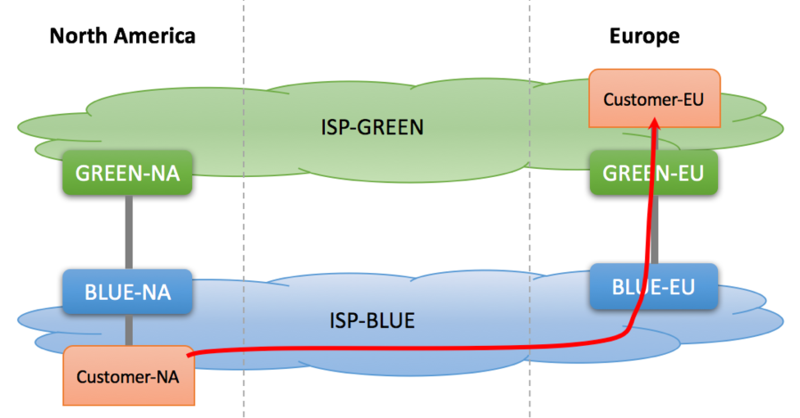 In some cases, Hot Potato mechanism can improve round-trip latency, as your peer might have internal connectivity mesh. The main disadvantage of Hot Potato peering is the loss of control over traffic carried by your peer. 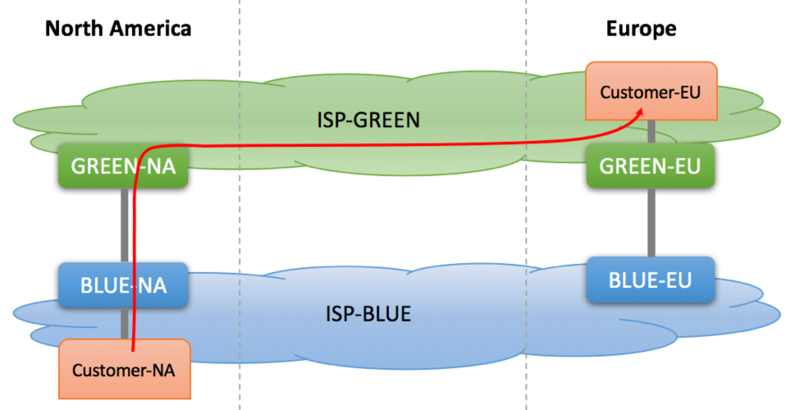 You might have faster, less congested or more optimal paths compared to your partner, and customers could have benefited from your network carrying their packets. Cold Potato technique is opposite to Hot Potato – in this scenario, you carry customer’s traffic for as long as you can before delivering packets to the peer. By doing this, you increase your internal network utilization, increasing overall operational cost. Should I use Cold Potato or Hot Potato? On the Internet, Hot Potato is more commonly used. In fact, some public and private peering agreements will forbid you from manipulating route advertisements in order to using cold-potato traffic exchange practice. It is important to understand that asymmetric nature of the Internet allows you to use one scenario (e.g. Cold Potato), while your peering partner might use the other (e.g. Hot Potato). What should I do to use Hot Potato technique for the outbound traffic? Ask your peer to advertise the same routes with the same BGP attributes (communities, AS Path Length, etc) across all peering points. If this is not enough, you can apply strict prefix filtering and reset certain attributes received from your peers. What should I do to use Cold Potato technique for the outbound traffic? 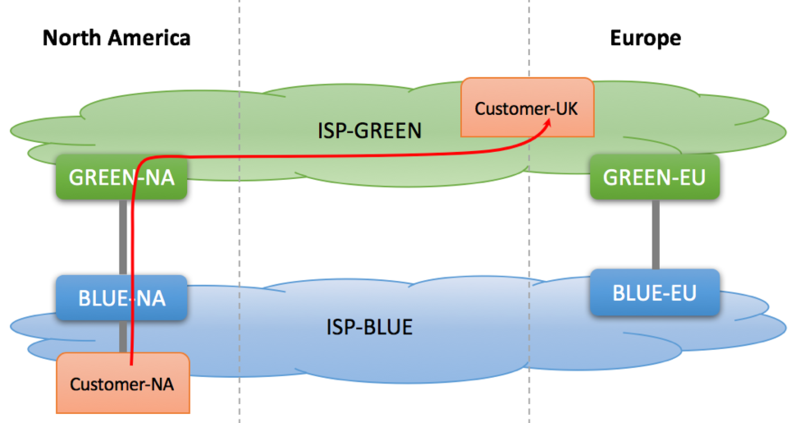 Request your peer to use one of many BGP techniques to communicate geographic preference information. For example, more specific European routes might be advertised only via European peering point, while aggregate routes are advertised both in Europe and in North America. What should I do to force my peer to use Hot Potato? 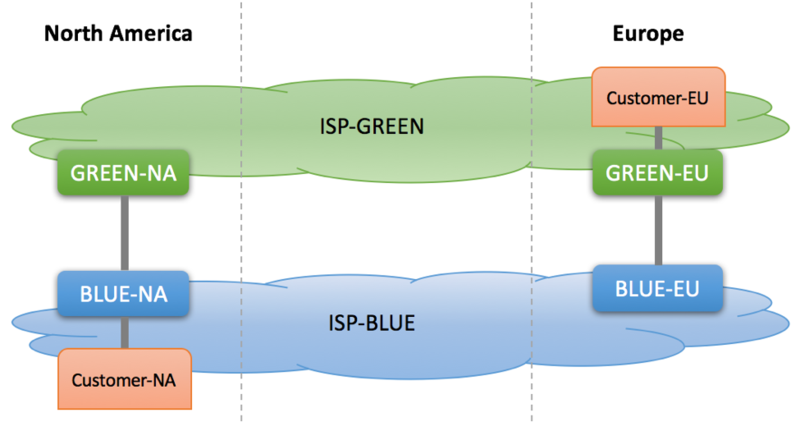 Make sure that you advertise all your routes with the same BGP attributes across all peering points. What should I do to force my peer to use Cold Potato? Communicate geographic preference information. For example, advertise more specific European routes via European peering point, and aggregate routes across all peering points.